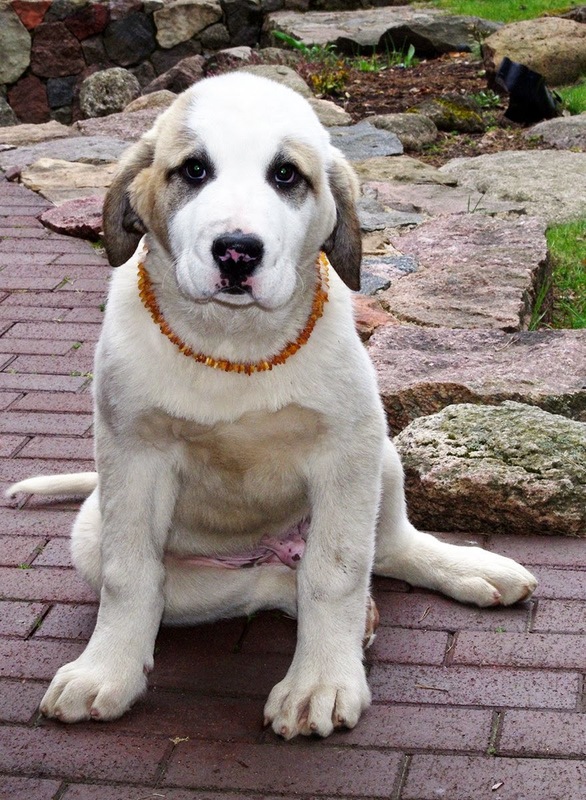 How to protect your dog from ticks and fleas? You have two choices: chemicals or chemical free products. But what if you or your pet is allergic to chemicals? 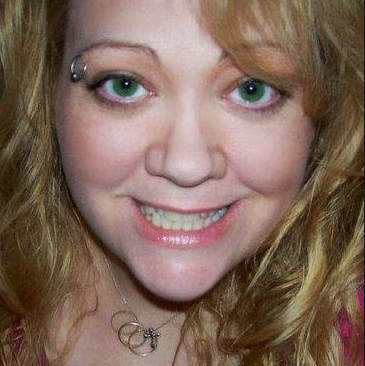 What about pregnant, nursing pets, puppies and kittens? Would you like to risk having chemical effects on your pet, kids or house? Definitely not. 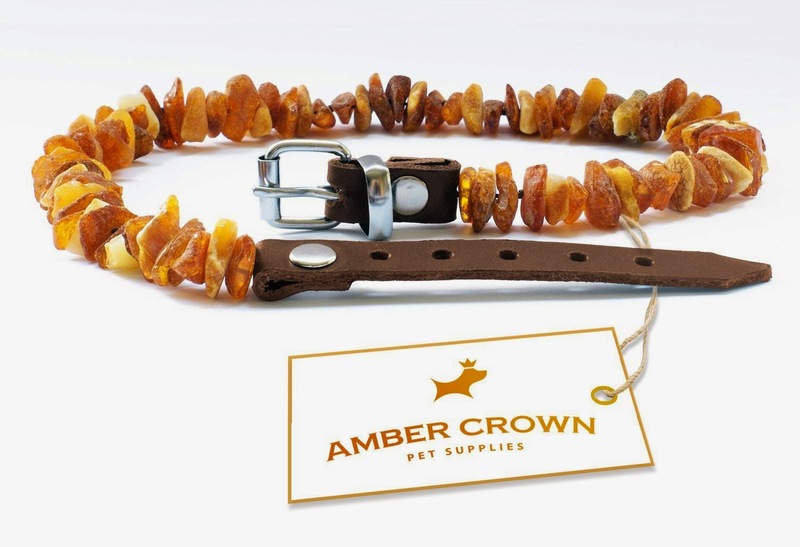 Amber collar for dogs and cats by Amber Crown is the verified natural tick and flea protection tool. Suitable for dogs and cats, even if they are allergic, pregnant or nursing. 100% chemical free, no insecticides. Safe for humans and animals, no secondary effects on your pet or family. 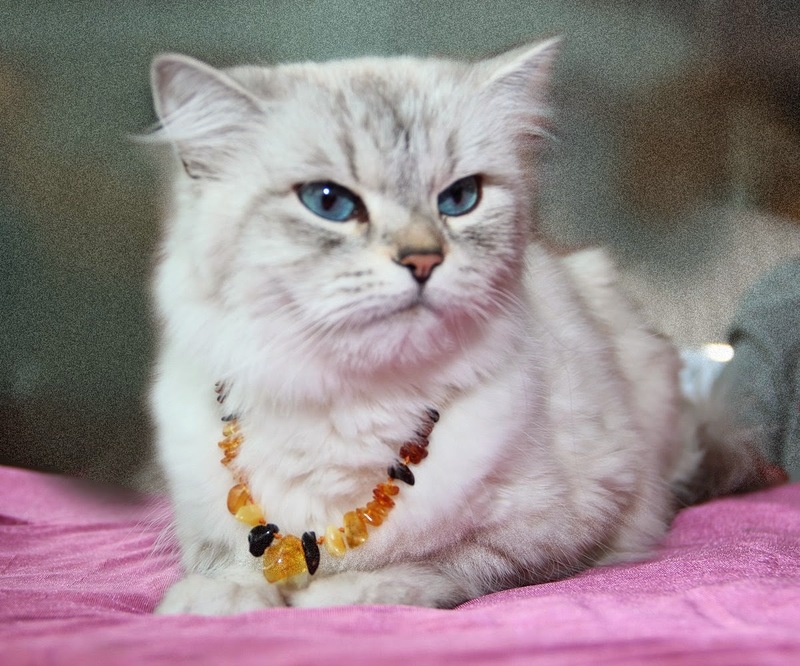 Powerful weapon against parasites and great looking pet adornment. 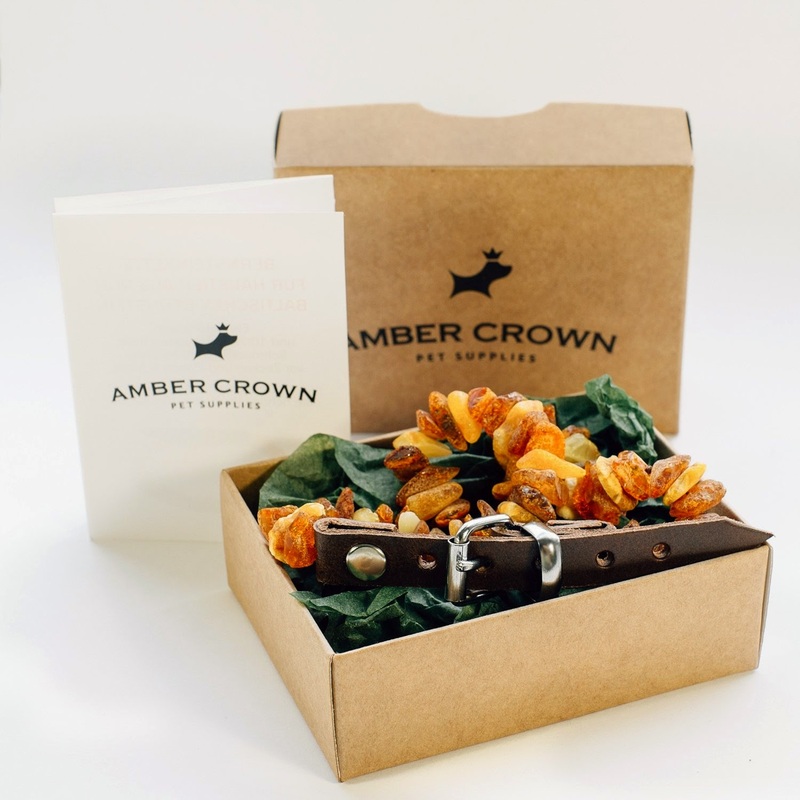 Thousands of satisfied buyers are using our amber collars to protect their dogs. • When worn on pet the friction from their fur releases aromatic terpines from amber that repels ticks and fleas. • Static electricity generated when amber is rubbed against the pet's fur makes parasites uncomfortable and unable to cling to hairs. 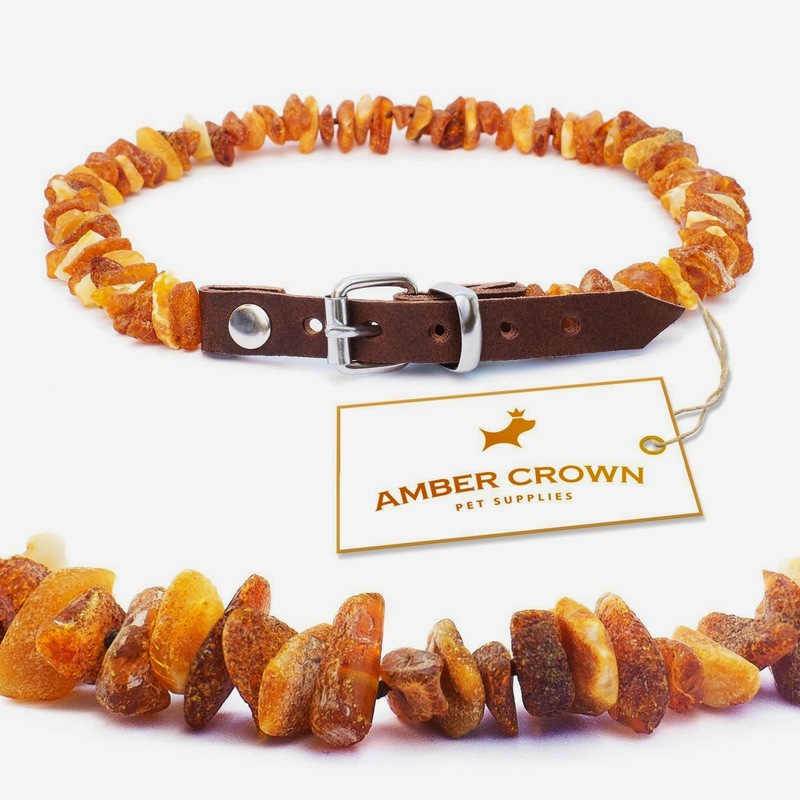 Remember, only unpolished amber collars protect against fleas and ticks! Amber beads are separated by knots in groups to prevent scattering. Each stone is unique, therefore, the actual color varies slightly from the image and the shape of beads varies naturally. - 100% chemical free, non-toxic, no insecticides. Safe for humans and animals, no secondary effects on your pet, family or house. - Can be used for dogs and cats, puppies and kittens, even if they are allergic, pregnant or nursing. Waterproof, odor free and does not affect your pet's sense of smell. 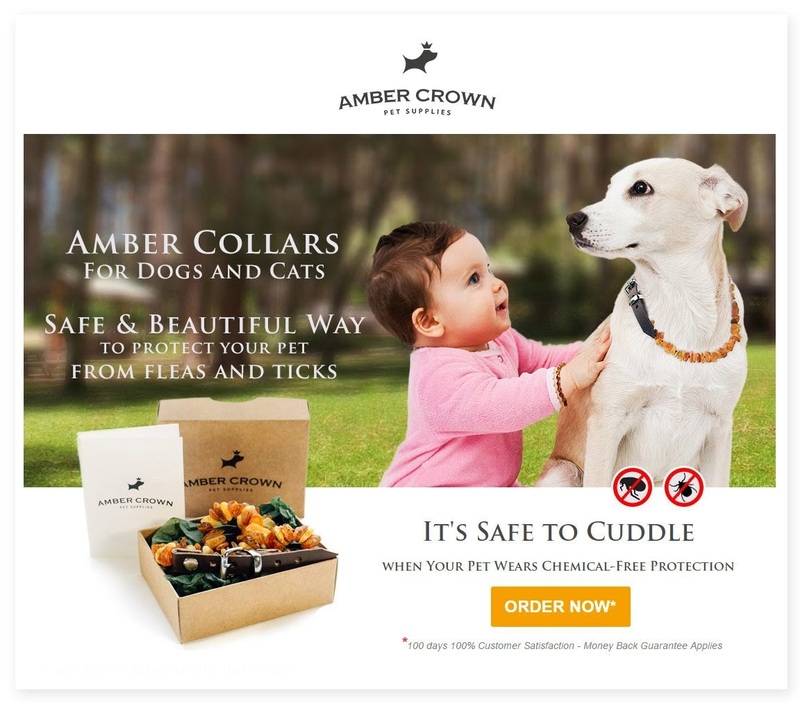 Amber Flea and Tick Collar with Adjustable Leather Strap for Dogs and Cats / Untreated Authentic Baltic Amber Dog Necklace / Natural Tick and Flea Control and Prevention / 100 Days 100% Satisfaction Guarantee! 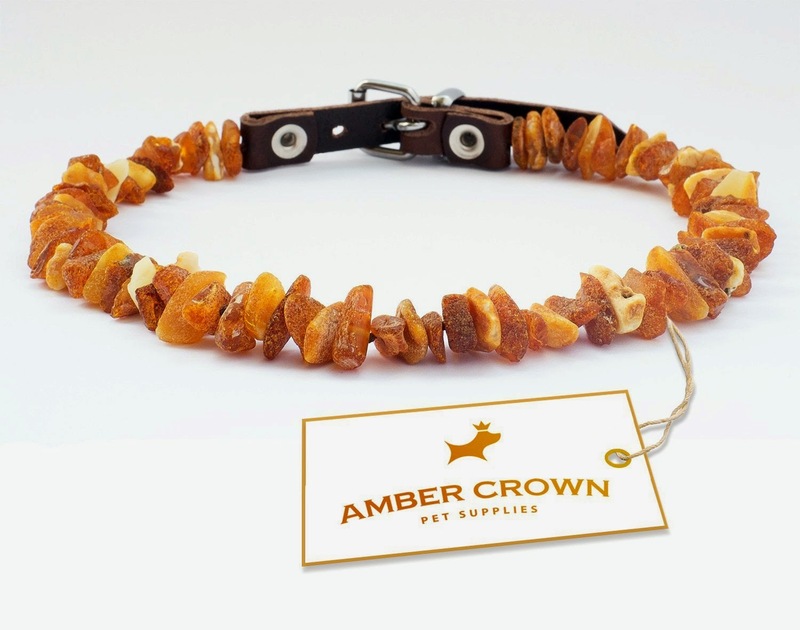 I was happy to get to try the Amber Flea and Tick Collar for Dogs and Cats by Amber Crown. They arrived in a nice gift box wrapped in tissue paper including an informative leaflet inside. I ordered the smallest size which is 8-10 inches for the kitten siblings we rescued from our local shelter. Since they are still feisty kittens they wanted to play , rather than have a fashion show with their new "necklaces". The amber collars have a nice leather strap with several holes for expansion as they grow. The amber itself is natural and very beautiful. I love having something natural to keep fleas and ticks away from my kittens because they put everything in their mouth and I would hate to have them chew on flea collar soaked in chemicals. 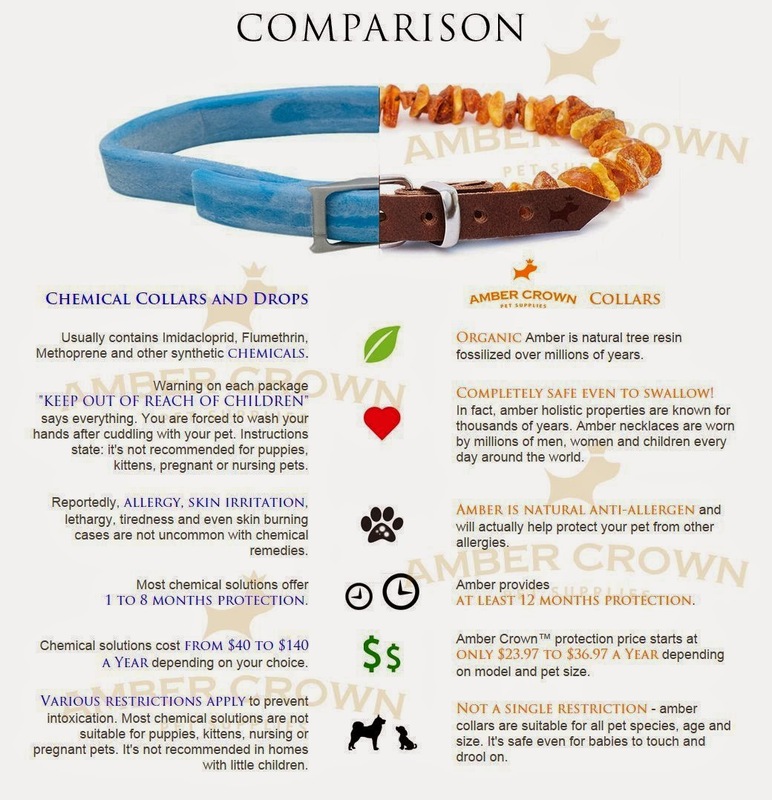 This is not the case with the Amber Flea Collar. The 2 yr old was interested in the kittens new "necklaces" and I was relieved that she could touch them and snuggle with her kittens, knowing there is no chemicals to harm her as well. Our kittens are very excited about getting new presents and want to open them NOW! 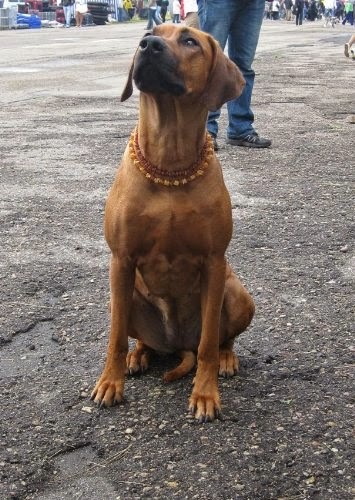 Posing with her new Amber Flea and Tick Collar. She has claimed this one for herself.